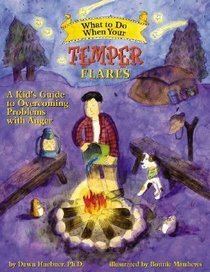 This book guides children and their parents through the cognitive-behavioral techniques used to treat problems with anger. This interactive self-help book offers step-by-step instructions to teach children a set of anger dousing methods aimed at cooling angry thoughts and controlling angry actions. Illustrations. About "What to Do: When Your Temper Flares"